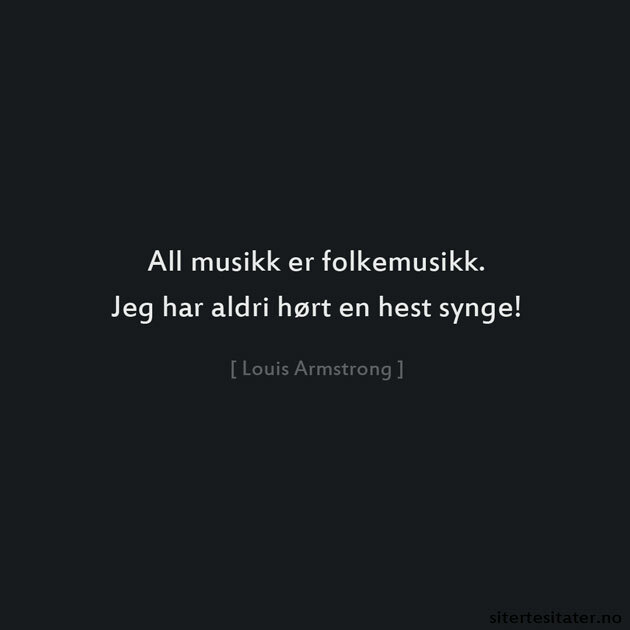 Gjengitt i Music: A Book of Quotations (2001) av Herb Galewitz. All music is folk music. I ain’t never heard a horse sing a song.